An experimental spacecraft that could remove space junk around Earth has been launched into orbit and will test a number of new technologies. An Active Debris Removal (ADR) mission, designed to demonstrate technologies to remove space junk, was launched on Monday 2nd April from the Kennedy Space Center to the International Space Station (ISS). "RemoveDEBRIS" is a mission designed and manufactured by a consortium of leading space companies, led by the University of Surrey and funded by the European Commission. It is one of the world's first concrete steps to begin cleaning up the tens of thousands of space junk pieces currently orbiting Earth. In the first of two capture experiments, a net will be discharged at one of the deployed target cubesats to demonstrate net capture in space. The second capture experiment will see a harpoon launched at a deployable target plate, made of representative satellite panel materials – the first harpoon capture in orbit. The third experiment involves vision-based navigation by deploying the second cubesat and demonstrating rendezvous navigation using cameras and a LiDaR. Finally, the RemoveDEBRIS spacecraft will deploy a large dragsail to speed de-orbit, where it will burn up as it enters Earth's atmosphere. The US Space Surveillance Network tracks 40,000 objects and it is estimated that there are over 7,600 tonnes of space junk in and around Earth's orbit – with some moving faster than a speeding bullet, approaching speeds of 30,000 miles per hour. "It is important to remember that a few significant collisions have already happened. 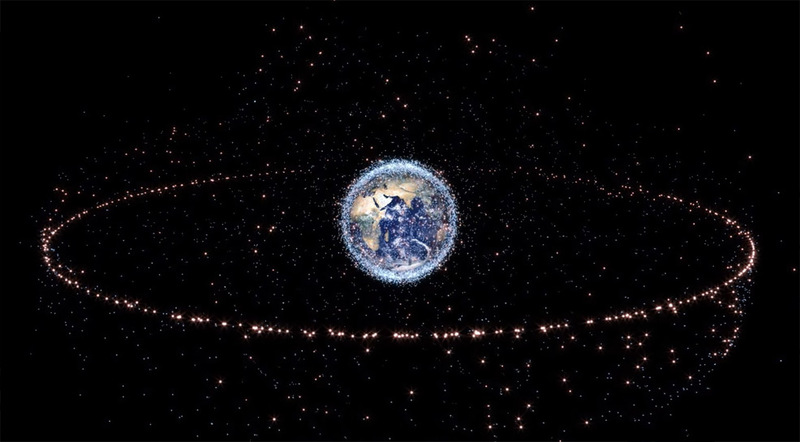 Therefore, to maintain the safety of current and future space assets, the issue of the control and reduction of the space debris has to be addressed," said Professor Guglielmo Aglietti, Director of the Surrey Space Centre at the University of Surrey. "We believe the technologies demonstrated with RemoveDEBRIS could provide feasible answers to the space junk problem – answers that could be used on future space missions in the very near future." Aurélien Pisseloup, Space Engineer at Airbus, said: "Airbus has been investing in new technologies for space debris removal in co-operation with space agencies and institutes. Contributing to this exciting mission with our expertise and concretely with our harpoon, net experiments and vision-based navigation (VBN) moves the international space community one big step forward in tackling space debris."